Embraer and the Brazilian Air Force have announced at the Farnborough Airshow plans by Brazil to purchase 28 Embraer KC-390 tanker transports. 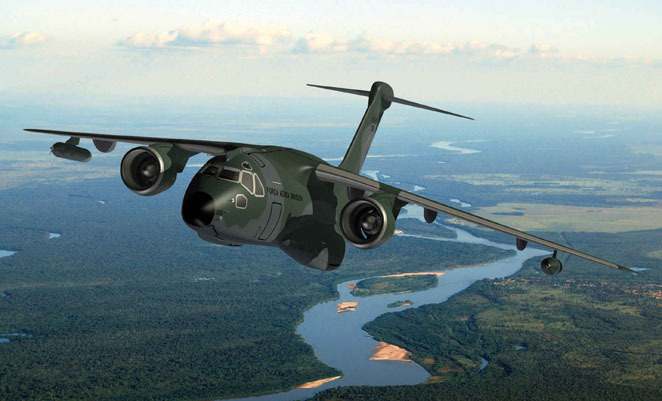 The KC-390 is a twin engined high wing design designed to replace the C-130 Hercules in service, and will fulfil a secondary role as an air-to-air refueller. First flight of the aircraft is due in 2014, with service entry from late 2015.